It is true that internet has become as essential part of life nowadays. Everyone wants to have an internet service with good speed and signal strength so that they can perform all their online tasks smoothly. Users always want that whenever they login to a web connection, they just get flawless speed and uninterrupted signal. In short, users want consistent speed all the time. The need of internet service can be varied from person to person and business to business but need of a faster speed and powerful signal strength is the need of everyone. No matter whether you want to send mails, chats, explore social networking sites or watching online videos, you can’t perform all these activities smoothly without having good speed. Who is the Best Service Provider? Getting a right answer of this question might be difficult as strength of any particular web connection can be varied from one location to other. It is happened due to signal strength of a web connection in different areas or locality. Now there is a big question at front of you to find out signal strength of any particular service provider in any particular area. It may be looked like a challenging tasks but not an impossible one. You just need to do some research before choosing an internet connection for business or home because there are many service providers like TriplePlay Broadband who offer best broadband service at affordable price both in urban and rural area. How to get Good Speed? It always frustrates you when you watching any online video or movie or your favorite show and suddenly you experience buffering or error due to low speed. Most of the time it happens due to your device that is used more bandwidth. It also happens due to data backup and connecting to cloud server. In simple words, there are some files that opened in the background and use your bandwidth that affect the speed of your connection. To prevent this issue, you disable auto update option of your system and make all updates manually. It helps you to get good speed. Whenever you face issue with your connection speed then before calling the service provider, it is advisable to check the router and restart the same. By reentering your login details, many a times you again start experiencing good speed. However the problem still not resolved then better to call the customer care to fix the issue. If your connection is connected with many devices then you always experience slow speed. Therefore it is important for you to minimize the access of your connection to the family members whenever you are doing important work online. In case you want to watch online show or playing online games then also you to control the access your connection for better experience. Besides that there are many other points like deleting browsing history & choosing right plan as per your business and family requirements that need to be considered in mind before choosing a web connection. 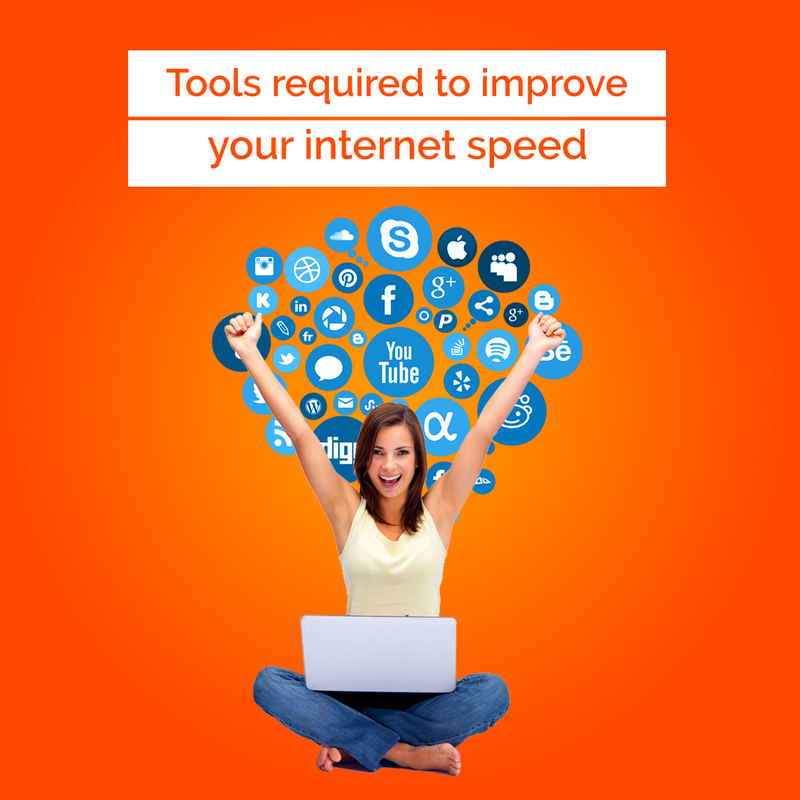 So follow these simple tools and improve your internet service to great extent!